Language mediation is the sixth competence defined in the Common European Framework of Reference for Languages. But why has it become more important and how can it be incorporated into lessons? Language mediation is a generic term referring to any activity in which a text is conveyed from one language into another. Less literal translation, whose focus is on conveying the text in a way that is appropriate to the situation and the addressees, is becoming ever more important. The term also encompasses “conventional literal” translation, however, even though this is practised increasingly rarely – and usually only to highlight the contrast between linguistic structures. While translation has enjoyed undisputed status in foreign language teaching in recent decades (albeit to varying degrees in Germany’s different federal states), teachers only started to incorporate less literal forms of language mediation/text translation into their foreign language lessons following the publication of the Common European Framework of Reference for Language (CEFR). Ever since, foreign language education experts have also been researching the theory and practice of language mediation (see Kolb 2016). Since the year 2000, language mediation in foreign language teaching has moved away from the goal of equivalence – in the sense of “as free as necessary but as literal as possible” – and towards that of appropriateness. In 1984, Katharina Reiss and Hans Vermeer already defined appropriateness – using the generic term skopos theory – as being the goal for translations. In this context, the situational and addressee relevance is particularly important in a foreign language lesson. In their everyday lives, multilingual learners probably experience language mediation situations at least as often as, if not more often than, monolingual conversational situations in the target language: while foreign language learners will only encounter the latter in a handful of circumstances – during an exchange or course of study abroad, for example – their services as language and cultural mediators will be required time and again in their professional and personal lives whenever they are the only speaker of a particular language, especially if it is a less common one. Speakers of a foreign language are very rarely required to produce a literal translation; usually what is desired is a fairly free summary of the key points in the target language. 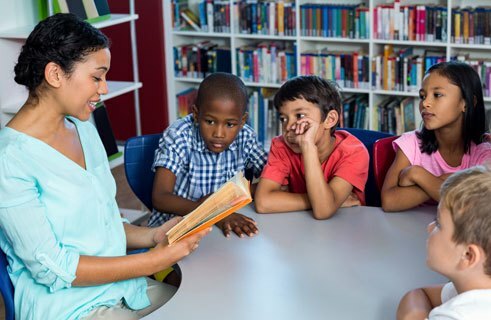 Teachers can also take advantage of less literal forms of language mediation in GFL/GSL lessons by using the first languages of learners in linguistically heterogeneous groups – either to ensure proper understanding or to create realistic language mediation scenarios that improve the language skills of all learners and thus have a motivating effect in every respect. Because one is acting as a mediator not only between languages but also between cultures, language mediation becomes a privileged area of inter- (Rössler 2008) and transcultural learning. Language mediation can give rise to many suitable activities for competence- and task-based lessons thanks to its complexity and because it reflects real life (Reimann 2013: 212). In principle, a distinction can be made between three basic forms of less literal language mediation: summarizing, paraphrasing and informal interpreting. In the case of summarizing and paraphrasing, the following combinations are conceivable: written to written, verbal to verbal, written to verbal and verbal to written. This gives rise to a total of nine types of possible language mediation activities. To fully exploit the potential offered by language mediation, teachers should design activities that are relevant to the situation and addressees while ideally engaging at the same time with an (inter-) cultural issue. In addition, it is possible to ask learners to take one text genre and change it into another. This distinguishes successful language mediation activities from translation exercises or other similar tasks for their own sake. Decontextualized exercises such as “summarize the following text in German” are to be advised against, as are the kind of interpretation exercises that numerous older textbooks contain and that are supposed to be done in writing – often with very exacting requirements. This contradicts the very definition of interpreting as a form of oral translation, and in many cases also results only in literal translations. At best, such activities lead to informal interpreting. In preparation for language mediation, learners should be adequately trained in the use of linguistic compensation strategies (Zweck 2010: 9). One obvious choice is to embed language mediation activities within complex learning assignments. This provides context, relevant background information and the linguistic tools necessary for the successful completion of the task. You work on the editorial team of a radio station that aims to introduce Portuguese audiences to international music. You are preparing a programme about German-language music. Summarize the lyrics of the following songs and the information you find about the respective singers/groups online (no more than 100 words about the lyrics and 100 about the singers/groups). You have a maximum of 30 seconds in which to (orally) present the summaries (use a stopwatch!). Kolb, Elisabeth (2016): Sprachmittlung. Studien zur Modellierung einer komplexen Kompetenz. Münster/New York: Waxmann. Reimann, Daniel (2016): Sprachmittlung (= narr Starter). Tübingen: Narr. Reimann, Daniel (2013): Evaluation mündlicher Sprachmittlungskompetenz. Entwicklung von Deskriptoren auf translationswissenschaftlicher Grundlage. In: Reimann, Daniel/Rössler, Andrea (Ed. ): Sprachmittlung im Fremdsprachenunterricht. Tübingen: Narr, p. 194-226. Reiss, Katharina/Vermeer, Hans J. (1984): Grundlegung einer allgemeinen Translationstheorie. Tübingen: Niemeyer. Rössler, Andrea (2008): Die sechste Fertigkeit? Zum didaktischen Potenzial von Sprachmittlungsaufgaben im Französischunterricht. In: Zeitschrift für Romanische Sprachen und ihre Didaktik Vol. 2, Edition 1, p. 53-77. Zweck, Corinna (2010): Umschreiben, vereinfachen, Beispiele geben. Strategien zur Sprachmittlung trainieren. In: Der fremdsprachliche Unterricht Französisch Edition 108, p. 8-17. Daniel Reimann is a professor of didactics in Romance school languages at the University of Duisburg-Essen. His areas of research focus include modelling, development and evaluation of language mediation competence.